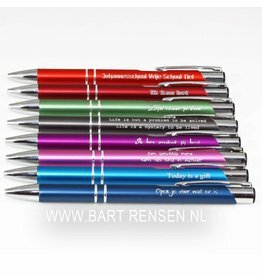 We dare not specialize in pens, but to personify the pen, with personal text or image. One peace or more, but no very large quantities. (We only engrave our own pens).